Ebooks can also be easily browsed, previewed and bought safely through Paypal on our new partner site which also can be accessed directly from our ebook store. See a selection below .......thank you for visiting. The website for both rare, out-of-print, collectible, historic and original electronic books (eBooks or digital books) in easy to read PDF format. We specialise in old books, but also produce original new material where possible. No special software required - our ebooks are either browser based or in PDF format. Sales of eBooks contribute to keeping our websites online. Our aim is to preserve old books and to make them more readily available to everyone. Bring alive the thrill of opening that old book with its stories of adventure and heroism, Explore new worlds and mysterious places through words and pictures of strange places and people, go back to when the world was weird and wonderful and full of promise. If you experience broken links or difficulty with the site please write to me at <muzza at ozebook dot com> Thanks for your patience and continuing support. Please note: All eBook prices are in US$ and your security is guaranteed by the use of PayPal. PayPal is quick secure and you get your money back if there are problems (not that we have had any and have been running since 1996). Our eBooks are downloadable for your convenience.. Please see our eBook selection below: Note: some spammers are fraudulently using my email address. If you get spam with my email adress please note that it did not come from me. This spamming practice is called "spoofing." "Have just received the eBooks and had a quick squizz, excellent, already found some much needed info and the tongue in cheek way they wrote in the thirties is very amusing. Keep up the good work on these old publications as they are enlightening and will definitely be of help while I put these machines back together"
"I received the ebook's today. Thank you very much. These are very interesting books." "Today I have received the wonderful CDROM. Thank you very much." "I received the eBook order today. Thank you very much for the quick send off. 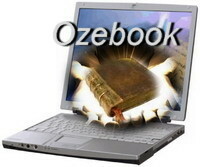 My experience with Ozebooks has been outstanding and I will be sure to do business with you again in the future." "The CD arrived today - many thanks! After a quick browse, it looks superb - even more interesting than I anticipated. I'll enjoy reading it over the next week or so". "Thank you for providing such a valuable service for such significant long-out-of-print books". "I just received the CD today and I've copied the items onto my Kindle. Wow, the stories look absolutely gripping. I'll get started reading right now." 28th Battalion AIF - Unit History - download The 28th Battalion was raised at Blackboy Camp in Western Australia on 16 April 1915. The battalion left Australia in June, and, after two months spent training in Egypt, landed at Gallipoli on 10 September. At Gallipoli, the 7th Brigade, which included the 28th Battalion, reinforced the weary New Zealand and Australian Division. 3rd Battalion AIF - Randwick to Hargicourt - Downloadable version The battalion took part in the ANZAC landing on 25 April 1915 as part of the second and third waves and served there until the evacuation in December. In August, the battalion took part in the attack on Lone Pine. In France the battalion fought at Pozieres, Ypres and on the Somme. 39 Battalion AIF 1916-19 The 39th Battalion was formed on 21 February 1916 at the Ballarat Showgrounds in Victoria and drew most of its recruits from the state’s Western District. The 39th fought in its first major battle at Messines, in Belgium, between 7-9 June 1917. The 39th fought in another two major attacks in this sector - the carefully planned and executed battle of Broodseinde on 4 October, and the disastrous battle of Passchendaele on 12 October. When the German Army launched its last great offensive in the spring of 1918, the battalion was rushed south to France and played a role in turning the German drive aimed at the vital railway junction of Amiens. The 39th participated in its last major action of the war between 29 September and 2 October 1918 as part of the Australian-American operation that breached the formidable defences of the Hindenburg Line along the St Quentin Canal. The Forty-First - Being a Record of the 41st Battalion AIF During the Great War 1914-18 The 41st Battalion was raised in February 1916 with recruits from Brisbane, northern Queensland and the northern rivers district of New South Wales. When the German Army launched its last great offensive in March 1918, the battalion was rushed south to France and played a role in blunting the drive towards the vital railway junction of Amiens. The Allies launched their own offensive on 8 August 1918, and the 41st played an active role both in the initial attack and the long advance that followed throughout August and into September. The 41st participated in its last major action of the war between 29 September and 2 October 1918 as part of the Australian-American operation that breached the formidable defences of the Hindenburg Line along the St Quentin Canal. The Spirit of the Forty-Second - 42nd Battalian AIF The 42nd Battalion was raised at Enoggera, on the outskirts of Brisbane, in December 1915 and became part of the 11th Brigade of the 3rd Australian Division. The battalion became known as the "Australian Black Watch". This association was recognised with a bagpipe band. After training in Australia and Britain, the 42nd deployed to France on 26 November 1916 and in 1917, the operations of the 3rd Division were focussed on the Ypres sector of Belgium. The 42nd participated in major battles at Messines on 7 June, Warneton on 31 July, Broodseinde on 4 October, and Passchendaele on 12 October. On 20 September 1918 the 42nd was ordered to disband to provide reinforcements for other battalions. Its men mutinied winning the Battalion a temporary reprieve. On 2 October the order to disband was once again issued. The men still disobeyed, but pressure from the AIF hierarchy eventually forced compliance. The 42nd Battalion was disbanded on 22 October 1918. The Forty-Third - the story and official history of the 43rd Battalion AIF The battalion embarked in June 1916 and, after landing briefly in Egypt, went on to Britain for further training. The battalion arrived on the Western Front in late December. In June 1917 the battalion took part in the battle of Messines and in October the Third Battle of Ypres.The battalion spent much of 1918 fighting in the Somme valley. In April they helped stop the German Spring offensive at Villers-Bretonneux. In July the battalion was part of General Monash's attack at Hamel. In August and September the battalion helped drive the Germans back to the Hindenburg Line. 11LH Regiment AIF - History of The Eleventh Light Horse Regiment 1914-19 The formation of the 11th Light Horse Regiment as part of it, was announced on 11 February 1915. Two squadrons of the 11th Light Horse were subsequently formed in Queensland, and a third in South Australia. The regiment deployed to Gallipoli as infantry at first. Returning to its mounted role, the 11th Light Horse joined the forces defending the Suez Canal. It joined its first major battle when it attacked Gaza. The 11th Light Horse participated in the pursuit that followed, and moved into the Jordan Valley in time to participate in the Es Salt raid. The History of the Fourteenth Battalion AIF Principally from Melbourne and its suburbs the 14th Bn landed at ANZAC Cove on the afternoon of 25 April 1915. On 19 May the Turks launched a massive counter-attack. During this fighting Lance Corporal Albert Jacka of the 14th was awarded the AIF's first Victoria Cross. The battalion served at ANZAC until the evacuation in December. In June 1916 they sailed for France and the Western Front. From then until 1918, the battalion took part in bloody trench warfare. In March and April 1918, the battalion helped stop the German spring offensive. It subsequently participated in the great allied offensive of 1918, fighting near Amiens on 8 August 1918. This advance by British and empire troops was the greatest success in a single day on the Western Front, one that German General Erich Ludendorff described as "..the black day of the German Army in this war...". With Horse and Morse in Mesopotamia - The Story of ANZACs in Asia The fascinating histories during World War One in the middle east of the 1st Australian Pack Wireless Signal Troop, The NZ Wireless Signal Troop, the 1st Australian and New Zealand Wireless Signal Squadron, the 1st Cavalry Divisional Signal Squadron, the Light Motor Wireless Sections, the Australians of Dunsterforce (Persia and Russia), the Australian Nurses in India and the Australian Representative at Bombay. Photos and text of this rare book. Rare insight into an area of great interest to the world until this day. The Story of Dunsterforce - Stalky's Forlorn Hope The amazing story of the intervention in Persia/Iraq/and the trans-Caucasia to try to prevent German and Turkish troops capturing Baku and entering Persia after the collapse of Russia to the Bolsheviks in 1918. A campaign that rings down through the years to today where the conflict between the Kurds, Armenians, Arabs, Iranians, Turks etc still rages. Adventures in the Near East - by LtCol Rawlinson More on Dunsterforce, an extraordinary tale of adventure in the WW1 sideshow of the Middle East (Mesopotamia, Trans-Caucasia, Persia, Armenia, Turkey etc. His book tells the story of his adventures in the Near East in a singularly attractive form; his account of capturing a Bolshevik ship and piloting her out of Baku Harbour under very difficult circumstances will astonish many sailors. There is, however, a very sad side to his story, which, I am afraid, will very much distress many men and women of this country. Colonel Rawlinson put his uniform on in 1914, and did not take if off until March, 1923. He was cast into a Turkish prison for twenty months, and all but starved to death. Anzac Book The Book of Anzac was written in the trenches of Anzac at Gallipoli late in 1915. Nearly every word was written and every line under fire. Day and night, during the whole process of its composition~ the crack of the Mauser bullets overhead never ceased. At least one good soldier that we know of, who was preparing a contribution for these pages, met his death while the work was still unfinished. The ANZAC Book was to have been a New Year Magazine to help this little British Australasian fraternity in Turkey to while away the long winter in the trenches. This ebook includes, in addition to the ANZAC Book, a detailed description of the Gallipoli Campaign, reports and despatches related to the campaign, with extra photographs and maps. Anzac Memorial Returned Sailors And Soldiers Imperial League Of Australia 1919 Peace edition - 655 pages. Includes a Roll of Honour of the Australian Imperial Forces, soldier"s stories and verses, and general history of Anzacs in Gallipoli and France, with numerous b/w pictures..
Australasia Triumphant A stirring triumphant tale of the Australians and New Zealanders at war. Published in 1916 this book covers the action at Rabaul and the Pacific, the despatch of the ANZEF, the sinking of the Emden, camp at Egypt, fight for the Suez Canal and the landings at Gallipoli. Illustrated with some great photographs. Australian and New Zealand expeditionary forces : assemblage at and departure from Albany Australian and New Zealand expeditionary forces : assemblage at and departure from Albany. This rare publication is extensively illustrated, containing photographs of the troops on parade, boarding ship as well as shots of the troopships and naval escorts prior to their secret departure overseas for Egypt and Gallipoli. Australian Chivalry Australian Chivalry is a large format commemorative book produced in the Depression (1933) by the Australian War Memorial. The book features Official War Artist paintings of the great War. Australia in the Great War - The Story told in Pictures The object of this publication (which was produced over eight issues in 1917-18) was to present a pictorial record of the Australian Imperial Force in France, Great Britain, Egypt and elsewhere. Fascinating collection of pictures of the Australians at War. Many not seen elsewhere and not printed since. Australian's on the Western Front -Battlefield Tour - 90 years on - Special Edition Australian's on the Western Front - Battlefield Tour - 90 years on - 200 page landscape colour book available on CD in PDF format - This book follows an Australian War Memorial guided tour of the battlefields of France and Belgium where the First AIF fought in the First World War - This large book has full page plates of the locations, maps plus 100s of colour photos of the locations made famous by the Australians in the Great War. Descriptions are provided of the major campaigns and locations the Australians fought in. Contemporary photos of the front are also included for comparison where possible. Photos and descriptions of the 5 Divisional Memorials, the Corps memorial at Hamel, the Australian National Monument at Villers-Bretonneux and much more. Visits are made to many of the major war cemeteries as well as Amiens, Arras and Ypres (including the Menin Gate). Battlefields include the Somme, le Hamel, Mont St Quentin, Peronne, Bullecourt, Pozieres, Paschendaele, Fromelles, Messines, Notre Dame St Lorette, Hill 60 etc. In addition visits are made to the Normandy beaches, Bayeux, Caen, Brugges, Paris and the Imperial War Museum in London. A fabulous tribute to the men of the First AIF and a great research resource for anyone planning a visit to the Western Front. Australia's Fighting Sons of The Empire - Western Australian edition Australia's Fighting Sons of The Empire - Western Australian edition - PORTRAITS & BIOGRAPHIES OF AUSTRALIANS IN THE GREAT WAR - Very rare 1918 book on CD, This large book has full page plates of Gallipoli, VC winners and a chronology of the great War. Aprox. 280 pages mostly of soldiers of the Great War, with 100s of photos and a brief history of each soldier. A fabulous tribute to the men of the First AIF and a great geneology resource. Battlefields of ANZAC - on which the Australasians won Deathless Fame Battlefields of ANZAC - on which the Australasians won Deathless Fame - by the Correspondent of the Age. "A deeply interesting and historical series of views depicting the heroism of our gallant Anzac boys on the field of battle." 32 pp of rare and fascinating photos on the Austalians and NZers at Gallipoli. Printed 1916. For Empire - First Expeditionary Force to the Motherland - Australia's Rally to the Dear Old Flag - Victoria Honour Rolls Souvenir books issued to commemorate the First Contingent of Victorian AIF soldiers who responded so readily to the Call to Arms to defend the English Motherland. Full listing of over 6,000 soldiers and officers of the Victorian Expeditionary Force AIF, Divisional HQ, 2nd Inf Bde - 5th Bn, 6th Bn, 7th Bn, 8th bn, 4th Light Horse, No. 2 Field Ambulance, AACC Regt, 2nd Field Artillery Bde, Divisional Ammunition Column, Engineer's Regt and AAS Corps. For Empire - First Expeditionary Force to the Motherland - Australia's Rally to the Dear Old Flag - NSW Honour Rolls Souvenir books issued to commemorate the First Contingent of NSW AIF soldiers who responded so readily to the Call to Arms to defend the English Motherland. Full listing of over 6.000 soldiers and officers of the NSW Expeditionary Force AIF, pictures of officers (including LtCol MaClaurin), picture officers of the 1st and 2nd Regiments Australian Light Horse, listing of Divisional HQ, 1st Light Horse, 1st Infantry Brigade, 1st Bn, 2nd Bn, 3rd bn, 4th Bn 1st Field Artillery Brigade, Field Engineers, Army Service Corps, 1st Field Ambulance and Nurses. Full page pictures of officers and photographs of preparation and training. Imperishable ANZACS Imperishable Anzacs : a story of Australia's famous First Brigade from the diary of H.W. Cavill. The Dardanelles - Their Significance and Their Story in the Great War - Rare 1915 book on the campaign A book by EC Buley which describes the long and fascinating history of the Dardanelles (Hellespont) putting into context the campaign of 1915. Covers the attempt to force a passage through the straits and the landings at Cape Helles and ANZAC. A very popular account at the time but now very hard to find. Includes several interesting plates of the Castle at Sedd-ul-Bahr and maps. A must have for the Gallipoli collection. Covers France, Belgium, Galliopoli, Malta, Egypt, Palestine and England. Updated with comparative photos of Australian War Cemeteries in Gallipoli, France and Belgium. Provided as a PDF attachment to the original book in facsimile. With Our Army in Palestine This book is an attempt to give some idea of the work and play and, occasionally, the sufferings of the Egyptian Expeditionary Force, from the time of its inception in WW1 to the Armistice in it's campaigns in Egypt and Palestine. Covers battles of Gaza and Beersheba, much in-between and on over the Tyre into Lebanon. Includes references to Australian Light Horse actions. GALLIPOLI DIARY - Vol 1 By General SIR IAN HAMILTON, G.C.B. Published 1920. Hamilton spent six fruitless months unimaginatively bombarding the Turks at Gallipoli, making little progress but incurring severe casualties. Made a scapegoat for the failure of the operation (despite being hopelessly undermanned and having faced formidable logistical difficulties), Hamilton was recalled to London on 16 October 1915, effectively ending his military career. He published a two volume diary of his wartime experiences, Gallipoli Diary, in 1920. This Ebook is of the first volume of his wartime experiences, the most important covering the period before and after the landing and the lead-up to stalemate. GALLIPOLI DIARY - Vol 2 By General SIR IAN HAMILTON, G.C.B. Published 1920. Hamilton spent six fruitless months unimaginatively bombarding the Turks at Gallipoli, making little progress but incurring severe casualties. Made a scapegoat for the failure of the operation (despite being hopelessly undermanned and having faced formidable logistical difficulties), Hamilton was recalled to London on 16 October 1915, effectively ending his military career. He published a two volume diary of his wartime experiences, Gallipoli Diary, in 1920. This Ebook is of the second volume of his wartime experiences, covering the Suvla landing, August offensives and the lead-up to evacuation. At Suvla Bay - Being the Notes and Sketches of Scenes, Characters and Adventures of the Dardanelles Campaign A very good first account of the tragic campaign at Suvla Bay Gallipoli 1915 - covers the landing, Kiretch tep, Chocolate Hills, Pear tree Gully, Australian bridging team and Indian Mule team. Ambassador Morgenthau's Story By Ambassador Morganthau, Formerly American Ambassador to Turkey - Illustrated. Published 1918. Inside story on the war in Turkey, the Gallipoli campaign, the downfall of the Sultan and the massacre of the Armenians. Australia Versus Germany - The Story of the taking of German New Guinea An account of the first military campaign undertaken single-handedly by the new Australian Nation. Following the outbreak of World War I, Australian troops captured Kaiser-Wilhelmsland and the nearby islands in 1914, after a short resistance led by Captain Carl von Klewitz and Lt. Robert "Lord Bob" von Blumenthal. The Australians suffered six dead and four wounded — the first Australian military casualties of the First World War. Includes numerous photographs and details of this little known campaign. How Australia took German New Guinea - An Illustrated Record of the Australian Naval & Military Expedition Force How Australia took German New Guinea - An Illustrated Record of the Australian Naval & Military Expedition Force, Sydney, 1915.:by Frederick Spencer Burnell. (36MB download). A pictorial essay published shortly after the capture of German New Guinea - 85pp, primarily photographs of the expeditionary force and campaign to take Rabaul. Includes Official History of the Campaign. A Kut Prisoner The experience and individual fortune of a subaltern of the Indian Army Reserve of Officers who had his first taste of fighting at the battle of Ctesiphon, and was afterwards taken prisoner by the Turks with the rest of the Kut Garrison, ultimately succeeding in escaping from Asia Minor. An amazing tale of captivity and escape to Russia. Secrets of a Kuttite The battle for Kut, capture and imprisonment by the Turks and escape attempts. A compelling description of this disastrous campaign. A Brief Outline of the Campaign in Mesopotamia A very good book on the British campaign in Mesopotamia against the Turks. Also includes Dunsterforce and the situation in the Caucasus. Germany's High Seas Fleet By Admiral Reinhard Scheer 1920 - profusely illustrated in this new eBook edition. This edition of Admiral Reinhard Scheer's memoirs is a transcript of the original English version which was published in 1920. Germany's High Seas Fleet in the World War is not a history of the German navy in World War 1, it is rather a history of the Imperial fleet stationed in Germany which challenged the British Royal Navy for control of the North Sea. This is one of the principal books on naval operations in World War 1.
Letters and Memorials of Captain William Douglas - 6 Bn Royal Scots Letters from Captain Douglas whilst on active service in Egypt during the Senussi Rebellion and Turkish attacks on Suez until he was killed in action in France. An interesting and illuminating description of World War 1 service in the Royal Scots. Letters from Flanders The letters home of Lieut A D Gillespie, of the Argyll and Sutherland Highlanders, revealing life at the front and in the trenches during the First World War. He died at the Front in 1915; this book was published in 1916 during the First World War. Raemaekers' Cartoons - Two Books in one package Propaganda publications from 1916. One a 38 page book of cartoons of atrocities in Belgium and the Great War. Secondly, a large book of cartoons attacking Germany's role in the War with each cartoon accompanied by a description by a famous British author. Both books published in 1916. Seven Pillars of Wisdom With Lawrence in Arabia: The classic work by T.E. Lawrence on the Arab Revolt during the First World War in the Middle East. "This book offers a classic understanding of the differences between feudal tribes and the need to harness their strengths to bring them around. The book is still relevant to our times in the Middle East and Iraq in particular. Lawrence articulated the complex, and often overlapping, religious and tribal loyalties and motivations of the region. A fascinating account of the campaign in the desert which still has implications for today. The Fifth Battalion Highland Light Infantry In The War - 1914-1918 The 5th Highland Light Infantry was originally known as the 19th Lanark Rifle Volunteers, one of the British Army Volunteer units raised in 1859. On the formation of the Territorial Force in 1909, the present name was adopted. This book deals with the Unit record of service in the war 1914-1918. The Unit campaigned in France, Gallipoli, Sinai and Palestine. Illustrated with maps. Grosser Bilder-Atlas des Weltkrieges 1914-15 - Volume 1 The Grosser Bilderatlas des Weltkrieges was printed in 1916 in German and has an extensive collection of photographs of various aspects of the First World War from the German perspective. There are thousands of high quality photographs in the collection. the PDF ebook is 428 pages and can be downloaded in 3 rar archive files which can be extracted to form the complete volume. The file size once extracted is 302MB. A phenomenal and fascinating publication. Chapters in this volume include German mobilisation; France - the advance on Paris; Belgium - Assault and breakthrough; Germany - the people's wartime effort, France - frontline, East Prussia - Tannenberg, Angerburg and Winter War, Poland -the frontline; Galicia - Carpathians, Serbia and the Adriatic; Turkey - Dardanelles and the Suez Canal. Also includes index. EASTERN NIGHTS—AND FLIGHTS - A Record of Oriental Adventure by Captain Alan Bott MC Capt Bott's tale of capture by the Turks takes him through Damascus, the infamous Taurus tunnels to Constantinople where he lives a life as a fugitive after escaping from his captors. Entering a secret world of Russian smugglers he ends up in Odessa as the Bolshevik terror takes hold and finally stows away to Bulgaria and finally safety in Allied occupied Salonika. Captain Bott's tale is as gripping as it is exotic and suspenseful. A grand tale of true adventure in a lost world of Ottoman deceit, danger and corruption. Soldaten-Atlas Wehrmacht 1941 Tornisterschrift des Oberkommandos der Wehrmacht (Wehrmacht Soldier' Atlas - 1941) In German on CD. For use inside the Wehrmacht only. Published for the soldiers at front to inform them about the ongoing war. 10 Stunden Schneller! - Kleine Kriegshefte Nr. 3 - 10 Hours Quicker 10 Stunden Schneller! - Kleine Kriegshefte Nr. 3 - 10 Hours Quicker (1940) 36 pages - illustrated with pictures of the Invasion of Norway from a German perspective. (27MB download). The title reflects the German claim that they acted 10 hours before the British would have landed troops in Norway. Drauf und Dran - Unser Luftwaffe am Fiend - Kleine Kriegshefte Nr. 2 - On the Edge - Our Luftwaffe vs the Enemy Drauf und Dran - Unser Luftwaffe am Fiend - Kleine Kriegshefte Nr. 2 - On the Edge - Our Luftwaffe vs the Enemy (1940) 36 pages - illustrated with pictures of the air assault in the West from a German perspective. (5.5MB download). Wir vonder Westfront - Kleine Kriegshefte Nr. 1 - On the Western Front Wir vonder Westfront - Kleine Kriegshefte Nr. 1 - On the Western Front (1940) 36 pages - illustrated with pictures of the assault in the West from a German perspective. (5MB download). Gift! Gift! - Kleine Kriegshefte Nr. 12 - Poison! Poison! Gift! Gift! - Kleine Kriegshefte Nr. 12 - Poison! Poison! (1941) - 36 pages - illustrated with pictures of the propaganda war from a German perspective. (5.3MB download). Der Adler 1939-05 Der Adler ( The Eagle ) magazine was the official publication of the German Air Force from March 1939 till September 1944. The Der Adler was distributed every two weeks by the High Command of the Luftwaffe. PDF format (29mb) 37pp. German language. Der Adler - January 1940 Der Adler ( The Eagle ) magazine was the official publication of the German Air Force from March 1939 till September 1944. The Der Adler was distributed every two weeks by the High Command of the Luftwaffe. PDF format (35mb) 27pp. German Fighter Pilots ***Geschwader Schumacher,hunting Tommies - Leutnant Wimberley captured, drawings by Richard Hess, Wellington bomber in detail, Heinrich Anacker, Herms Niel, Iron Cross recipients: Klein, Hillengass, Kornatz, Kaiser, Henkel, Hoffmann, Wilde, Grenzow, von Klitzing, Meisel, Arndt, Baun, Chilla, Busselt, Kosch. German language. Der Adler - 1 June 1939 Der Adler ( The Eagle ) magazine was the official publication of the German Air Force from March 1939 till September 1944. The Der Adler was distributed every two weeks by the High Command of the Luftwaffe. PDF format (50mb) 50pp. Sonderheft Legion Condor *** General der Flieger Sperrle, Francisco Franco by Heins Raebiger, war over Spain; 1200 men flew from Africa to Spain; Garcia; German communication crew in Spain; Major Handrick; victory parade for Franco. German language. Add to Cart to order and download. Gaudalcanal - US Campaign in WW2 Gaudalcanal - US Campaign in WW2 - On 7 December 1941, Imperial Japanese forces turned their war on the Asian mainland eastward and southward into the Pacific with simultaneous attacks on Pearl Harbor, the Philippines, Wake, Guam, Hong Kong, and the Malay Peninsula. The rapid southward advance of Japanese armies and naval task forces in the following months found Western leaders poorly prepared for war in the Pacific. The decision to block this advance brought American forces into the Solomon Islands and U.S. Army troops onto the island of Guadalcanal. This booklet describes the campaign to stop the Japanese advance. Click below to order and download the pdf ebook (340kb). Mussolini's Roman Empire Mussolini's Roman Empire by GT Garratt. An indictment of England and her responsibility in the conquest of Abyssinia (of which she knew in advance and to which she actually gave assent) and of the French progress in the Spanish Civil War (which she has aided by taking the position of non-intervention, and ignoring the active part taken by Germany and Italy and making impossible support of the existing government). Step by step, her involvement is traced, as the story of Mussolini's ambitions and achievements is unrolled. The author, who was the Manchester Guardian correspondent during the Abyssinian war and spent most of last year in Spain, thinks Mussolini more dangerous than most Englishmen believe. “In every country bordering on the Mediterranean,” he says, “people are asking: why don’t the English take Mussolini’s ambitions more seriously?” Click below to order and download the pdf ebook (27mb). Lord Roberts The Story of Lord Roberts - Lord Roberts was a distinguished British soldier and one of the most successful commanders of the Victorian era. Japanese warships, plus addendums on Imperial Japanese Navy pre-WW1 battleships, the Russo Japanese war and the battle of Tsushima. Over 500 pages with numerous pictures, plans and maps. Written at the height of the Russo-Japanese war when English support for the Japanese was manifest. An engaging account and technical description of the Imperial Japanese Navy at the point where it turned and became a force for expansion of empire. The Balkan Wars The Balkan Wars were two wars in South-eastern Europe in 1912–1913 in the course of which the Balkan League (Bulgaria, Montenegro, Greece, and Serbia) first conquered Ottoman-held Macedonia, Albania and most of Thrace and then fell out over the division of the spoils. This fierce war lead to WW1 and to ongoing troubles until this day. Invasion literature was a historical literary genre most notable between 1871 and the First World War (1914). The genre first became recognizable starting in Britain in 1871 with the short story The Battle of Dorking, a fictional account of an invasion of England by Germany. The Battle of Dorking was so popular it started a literary craze for stories that aroused imaginations and anxieties about hypothetical invasions by foreign powers, and by 1914 the genre had amassed a corpus of over 400 books, many best-sellers, and a world-wide audience. The genre was extremely influential in Britain in shaping politics, national policies and popular perceptions in the years leading up to the First World War, and still remains a part of popular culture to this day. Afghanistan: A Short Account of Afghanistan, its History, and Our Dealings With It. The Great Game is a British term for what the British saw as a strategic rivalry and conflict between the British Empire and the Russian Empire for supremacy in Central Asia. The classic Great Game period is generally regarded as running approximately from the Russo-Persian Treaty of 1813 to the Anglo-Russian Convention of 1907. At the start of the 19th century there were some 2000 miles separating British India and the outlying regions of Tsarist Russia. Much of the land in between was unmapped. The cities of Bukhara, Khiva, Merv, Kokand and Tashkent were virtually unknown to outsiders. As Imperial Russian expansion threatened to collide with the increasing British dominance of the occupied lands of the Indian sub-continent, the two great empires played out a subtle game of exploration, espionage and imperialistic diplomacy throughout Central Asia. The conflict always threatened, but never quite developed into direct warfare between the two sides. The centre of activity was Afghanistan. The stories of epic travel, espionage, tribal war and political intrigue make for fascinating reading and resound down to us to even this day. Speed and How to Obtain It Fascinating 1920s discussion on vintage speed tuning - with many photos and illustrations: Vintage tuning advice and information. Great old photos, diagrams and advertisements. GT380 Suzuki Parts Book and Service Manual Service guide to the popular Suzuki GT380 triple cylinder watercooled two-stroke motorcycle. GT750 Suzuki Parts Book and Service Manual Service guide to the popular Suzuki GT750 triple cylinder watercooled two-stroke motorcycle. Dyke's Supplement - Supplement to Automobile and Gasoline Engine Encyclopedia Dyke's Supplement - Supplement to Automobile and Gasoline Engine Encyclopedia - Treating Carburettors, Gasoline Fuel-Feed Systems, Air Cleaners, Superchargers, Ricardo Cylinder Head, Engine Bearings - 1928 Edition. Classic Car Brochures High quality PDF eBook containing full colour 1940 Chrysler, 1941 Chrysler, 1946 Buick and 1946 Chevrolet brochures. Great pictures of these classic vehicles. MY FOURTH TOUR IN WESTERN AUSTRALIA. Illustrated by Walker Hodgson and from Photographs. Facsimile of the 1897 edition. Pages 351. Large colour map of Western Australian goldfields. One of the most magnificent books on the WA goldfields and bush, with hundreds of photographs and sketches. Journals of Several Expeditions Made in Western Australia, During the Years 1829, 1830, 1831, and 1832 and aDescriptive account of the panoramic view, &c. of King George's Sound, and the adjacent country Two ebooks in one. Includes 2 maps and panorama picture. Journals of several expeditions in Western Australia provides details of pioneering exploration of the South West of Western Australia in the early years of settlement. The descriptive account of King George's Sound provides a fascinating picture of the first settlement in Western Australia. Also an account of the death of Yagan and the strange description of his character by a phrenologist. The Life and Adventures of William Buckley: Thirty-two Years a Wanderer Amongst the Aborigines of the Then Unexplored Country Round Port Phillip, Now the Province of Victoria William Buckley (1776 – 30 January 1856) was an English convict who was transported to Australia, escaped, was given up for dead and lived in an Aboriginal community for many years. An intriguing account of Buckley's transportation as a convict, his life among the aborigines of Port Phillip and his subsequent pardon and employment as an interpreter. With illustrations and a new introduction. The Last of The Tasmanians, or The Black War of Van Diemen's Land Composed by James Bonwick, this is a sympathetic work that extensively documents the tragic history of the indigenous Tasmanian people in their period of contact with European settlers and Government forces in the nineteenth century. Includes many period illustrations. The Black War describes the period of conflict between British Colonists and Tasmanian Aborigines in the early nineteenth century, a conflict which had such impact on the Tasmanian Aboriginal population that they were believed to have been exterminated either violently or through disease and despair. History of West Australia: A Narrative Of Her Past Together With Biographies Of Her Leading Men Warren Bert Kimberly, an American, came to Australia from Chicago in the mid-1880s and edited commemorative histories of the gold mining towns of Ballarat and Bendigo before completing this comprehensive (340,000 words) History of Western Australia in 1897. The first section deals with the history of Western Australia from the earliest European hypotheses of the country's existence in the 14th century to extensive detail on European exploration across the state from 1829, through to the height of the gold rushes in 1897 . Two appendices follow and deal mainly with gold and the gold mining industry which was the dominant social and economic factor in the state at the time of publication. The second section is a volume of 163 biographies of notable Western Australians and typically includes several pages of text as well as a large portrait photo for each entry. Extensively illustrated with period photos of Western Australia, this publication is a rare treat and an impressive production. JOURNALS OF EXPEDITIONS OF DISCOVERY INTO CENTRAL AUSTRALIA AND OVERLAND FROM ADELAIDE TO KING GEORGE'S SOUND IN THE YEARS 1840-1: by EDWARD JOHN EYRE Detailed description of Edward Eyre's exploration in Central South Australia and his desprate overland journey across the Nullarbor Plain to Western Australia. This outstanding feat of exploration was not achieved without tragedy and also tremendous luck. Edward Eyre's journals are a record of an epic feat of endurance across a waterless and hostile land. 6.7MB in PDf form this ebook of the two volumes of exploration is illustrated and also accompanied by recent photographs of key points in Eyre's journey. Australian Aborigines: Fascinating Nineteenth Century books on the Australian Aborigines: Includes a full scan of the 1888 book by Roderick J. Flanagan. A humane and unbiased, sympathetic view of the Australian Aborigine. Includes a description of the "Rising" of 1842-3 and the Myall Creek massacre. 167 pages. "The Aborigines of Western Australia" The full text plus illustrations of Albert F Calvert's book printed in 1894. 55 pages and 4 illustrations. Fascinating descriptions of a clash of cultures. Views of Western Australia Late 1890s book. Each picture can be viewed full-screen and has been enhanced from the original. These rare pictures of Western Australia taken only 60 years after the founding of the colony. The effect of the gold-rushes can be seen in the new magnificent public buildings as well in the pictures of the actual gold-field. Twentieth Century Impressions of Western Australia 1901 edition. Large quarto, maps, folding panoramas, profusely illustrated. with photographs, 800 pages. Extensive coverage of the early history and development of the colony of Western Australia, voyages and navigation, settlement and exploration, natural history, government and federation, Aborigines, mining, agricultural, pastoral, timber, fishing and pearling industries, commerce and trade. 100s of unique and historical photographs including multi-page panoramas. Spinifex and and Sand David Carnegie was the fourth son of the Earl of Suffolk, England. After education as an engineer, David Carnegie worked on tea plantations in Ceylon, but joined the rush to Coolgardie when gold was discovered in Western Australia in 1892. Over a period of five years he prospected, and led several important exploring expeditions into some of Australia's most arid areas. In 1896-1897, the Hon. David Wynford Carnegie, born in 1871, youngest son of the Earl of Southesk, led one of the last great expeditions in the exploration of Australia. His route from Lake Darlôt to Halls Creek and return, took thirteen months and covered over three thousand miles. Carnegie financed his expedition from the results of a successful gold strike at Lake Darlôt. Journal of a tour of discovery across the Blue Mountains, New South Wales, in the year 1813 This eBook contains the "JOURNAL OF A TOUR OF DISCOVERY ACROSS THE BLUE MOUNTAINS, NEW SOUTH WALES, IN THE YEAR 1813" written by George Blaxland that was published in 1913, to coincide with the centenary celebrations of the first crossing of the Blue Mountains in 1813 by Blaxland, Lawson and Wentworth. This edition includes a number of photographs from 1913 which record the route of the explorers. Explorations in Australia - by John Forrest 1. Explorations in Search of Dr Leichardt and Party, 2. From Perth to Adelaide, Around the Great Bight and 3. From Champion Bay, Across the Desert to the Telegraph and to Adelaide, with an Appendix on the condition of Western Australia. First printed in 1875 with illustrations and maps. An account of several of the most arduous exploring trips in Australia, where survival was reliant on superb bushmanship, Aboriginal guides and good fortune. A classic in Australian exploration. Western Australia - A History from its Discovery to the Inauguration of the Commonwealth. - J.S. Battye 1924 Edition - 480pp c/with maps and charts. It includes maps and charts and additional illustrations to accompany the text. This book covers the discovery of Western Australia and its transition from a small settlement into a bustling mining boom endowed State of the Commonwealth within the short period of 70 years. Written by a renowned historian of the State of Western Australia this account by JS Battye is a significant contribution to the understanding of the challenges faced by this remote colony of the British Empire. Australian Discovery By Ernest Scott published in 1929. An excellent description of the voyages of discovery of the Spanish, Portuguese, Dutch, French and English. Read of the wrecks and disasters on the West coast hundreds of years before Cook reached the East Coast. Also has extensive coverage of discovery on land from Blaxland to Stuart. Engaging extracts from explorer's journals never better presented than in this collection by the eminent Australian historian Ernest Scott. The Present Picture of New South Wales, 1811 By D D Mann - published 1811 - illustrated with 4 coloured views taken from drawings on the spot of Sydney, the seat of Government with a plan of the Colony taken from actual survey by public authority. A Source Book Of Australian History Compiled by Gwendolen H. Swinburne - published 1919. The aim is to place the reader in contact with the evidence of history in order that he may become his own historian by drawing his own deductions from the contemporary records. These are the records written by the men who gave their life and health to lay the foundation of Australia. They are aglow with the heat of action; they are inspiring in their quiet modesty and strength. The Part Borne by the Dutch in the Discovery of Australia 1606-1765 By J. E. Heeres, LL. D. Professor at the Dutch Colonial Institute Delft - published 1899. Here in Dutch and English from original documents is a description of the discoveries of Western and Northern Australia hundreds of years before Cook landed on the East Coast. Amazing tales of shipwreck, mutiny, conflict with aborigines and voyages in unknown waters. The Duyfken Photo essay of the Duyfken Replica built in Fremantle Western Australia. The Duyfken Duyfken (also Duifken or Duijfken) ("little dove" in English, "duifje" in modern Dutch) was a small Dutch ship built in the Netherlands. She was a fast, lightly armed ship probably intended for shallow water, small valuable cargoes, bringing messages, sending provisions, or privateering. In 1606, during a voyage of discovery from Bantam (Banten), Java, captained by Willem Janszoon, she encountered the Australian mainland and Janszoon is thus credited with the first authenticated European discovery of Australia. An extraordinary account of the exploration of the coast of Western Australia, Northern Australia and the Arafura Sea. Well illustrated and informative. Australia Twice Traversed - Volumes 1 and 2 - Ernest Giles The Romance Of Exploration, Being A Narrative Compiled From The Journals Of Five Exploring Expeditions Into And Through Central South Australia, And Western Australia, From 1872 To 1876. Ernest Giles crossed the continent in both directions, an immense achievement despite aboriginal attack, thirst and deprivation. His companion Simpson was lost in the Desert and never found again. A remarkable of narrative of exploration complete with illustrations and expedition maps. Narrative of an Expedition undertaken under the direction of the Late Mr. Assistant Surveyor E. B. Kennedy (1849) By William Carron. A description of a tragic tale of exploration in the wet Tropics of Far North Queensland. A Victorian heroic tragedy of Australian exploration. Illustrated. Terre Napoleon Terre Napoleon is a fascinating discussion of French intentions in Australian waters, also covering the encounter of Flinders with Baudin and his subsequent incarceration in Mauritius. The Life of Captain Matthew Flinders This biography, published in 1914 to mark the centenary of his death, was the first comprehensive study of this central figure of Australian maritime exploration. The leading Australian historian Ernest Scott (1868-1939) based his account on material held in private collections in France as well as on documents deposited in Australian libraries. Includes details of the duplicity and spying conducted by Peron and de Freycinet whilst at Port Jackson in NSW. This book is well illustrated with additional colour photographs of places visited by Flinders added to the original edition. The King's Empire Volume 1 - 1906 Massive Publication - large full size plates and coloured illustrations. Full descriptions of all photos. Volume 1 - 368pp - 170mb download. Contents - How the King and his subjects Travel, Workers in the Empire, How the King's subjects Worship, Sport in the King's Empire, the Government of the King's Empire, On His Majesty's Service: The Army, On His Majesty's Service: The Navy, the Homes of the King's subjects and The Pastimes of the King's Empire. The King's Empire Volume 2 - 1906 Massive Publication - large full size plates and coloured illustrations. Full descriptions of all photos. Volume 2 - 361pp - 177mb download. Contents - The Education of the King's Empire, The Trade of the Empire, The Homes of the King's Subjects, Famous Places of Worship in the King's Empire, Places of Interest in the King's Empire, How the King's Writ runs and how the King's peace is kept, The Capitals and the Chief Cities of the King's Empire, The Markets of the King's Empire, His Majesty's Mails and telegaraphs and Customs and Ceremonies of the King's Empire. Wonderful collection of historical photos from around the world. Exeter Illustrated Great old illustrated souvenir booklet on Exeter at the turn of the Century - no cars and buildings preserved for centuries. A long lost time captured by the camera. Twentyfive full page land and streetscape shots, plus period advertising. Full title - Exeter illustrated - Photographic views of the cathedral, Public Buildings, Colleges and Places of Interest in the City. Pictures in Colour of the Isle of Wight CONTAINING FIFTY BEAUTIFULLY COLOURED PICTURES OF THE ISLE OF WIGHT - with descriptive notes -Printed London Jarrold and Sons c. 1910. Reproduced on CDROM. To those who have never visited the Island, the accompanying illustrations will unfold sufficient of its beauty to give some idea of its resources. Being reproductions from actual photographs they may be relied upon as being true to Nature. Yorkshire Coast and Moorland Scenes Painted and described by GORDON HOME - Second Edition 1907 - "It may seem almost superfluous to explain that this book does not deal with the whole of Yorkshire, for it would obviously be impossible to get even a passing glimpse of such a great tract of country in a book of this nature. But I have endeavoured to give my own impressions of much of the beautiful coast-line, and also some idea of the character of the moors and dales of the north-east portion of the county." Paris - Photographs in Colour (Paris - Photographies en Couleurs) A fabulous period piece from pre-war Paris, pre-automobile, in all it's Imperial splendour, aprox 1900. Wonderful hand coloured photographs, 20 in all, in a Souvenir postcard folder. All copied faithfully to CD-ROM and all pictures full screen size and easier to view than in real life. An uncommon survivor of the lost world of "Gaye Pariee"
Wallace chose the Indonesian Archipelago for detailed study, travelling to what was referred to in those days as "the Malay Archipelago." He arrived in Singapore on 20 April 1854, to begin what would turn out to be the defining period of his life. Wallace's name is now inextricably linked with his travels in the Indonesian region. He spent nearly eight full years there; during that period he undertook about seventy different expeditions resulting in a combined total of around 14,000 miles of travel. He visited every important island in the archipelago at least once, and several on multiple occasions. His collecting efforts produced the astonishing total of 125,660 specimens, including more than a thousand species new to science. The volume he later wrote describing his work and experiences there, The Malay Archipelago, is the most celebrated of all writings on Indonesia, and ranks with a small handful of other works as one of the nineteenth century's best scientific travel books. Highlights of his adventures there include his study and capture of birds-of-paradise and orangutans, his many dealings with native peoples, and his residence on New Guinea (he was one of the very first Europeans to live there for any extended period). The Story of the Guides By Col. G.J. Younghusband, C.B. - Queen's Own Corps of Guides. Author of "Eighteen Hundred Miles on a Burmese Tat," "Indian Frontier Warfare," "The Relief of Chitral," "The Philippines and Round About," ETC." Printed 1908 with illustrations. "The duties of the Corps of Guides were clearly and concisely defined..... It was to contain trustworthy men, who could, at a moment's notice, act as guides to troops in the field; men capable, too, of collecting trustworthy intelligence beyond, as well as within, our borders; and, in addition to all this, men, ready to give and take hard blows, whether on the frontier or in a wider field. And finally, they were to be a new feature in the fighting forces of the Empire". This book is a grand description of a famous unit which fought on the frontiers of India under the Raj. great pictures and a fascinating tale. Includes a full scan of the 1858 book The Indian Rebellion - Its Causes and Consequences by Alexander Duff- 409 pages in all. An important eye witness account by a leading and far sighted missionary who had long worked in India. Insightful descriptions written at the time of the mutiny in India which bring to life the fears and concerns of a British expatriate in the thick of the rebellion. Describes in graphic detail the rebellion as it happened across Northern India from Meerut, Delhi, Lucknow to Cawnpore. An ultimate Victorian nightmare for Europeans stranded in a hostile land. Accompanying this book is a Description of the Indian Mutiny, its causes, major campaigns and effects. Includes a detailed map of India at the time of the Mutiny and the disposition of British and Native Indian forces. Illustrated by period photos and drawings. Typical Pictures of Indian Natives A period piece printed in 1903 with descriptions and coloured photographs of typical Indian types. Very true to its time. 76 pages, 24 colour plates. Indian Durbar of 1903 The Durbar of 1903 with text by Dorothy and a hundred chromolithographs by Mortimer Menpes. The plates were produced in the Menpes Press under the personal supervision of the artist. What makes Curzon's Durbar so interesting, apart from its colourful and grand pageantry, is the personality of Curzon himself. And then there is the pictorial record of the proceedings left for us by the artist Mortimer Menpes. Among the Wild Tribes of the Afghan Frontier During 1904 Pennell travelled through the Punjab by bicycle, mixing with the local people, with one Afghan companion. He dressed as a sadhu, and was often penniless. An insightful book into the complex life style of the Pashtun and the war-like ways of tribal society. An area of interest still to modern readers. A School Atlas of English History An excellent series of maps of European history and various battles. All maps feature coloured highlights. An excellent reference source for the student or the history buff.